Why Velocity is the Good Option for OpenCart Module Development Services? OpenCart site owners can’t depend on their initial configuration of their eCommerce platform for achieving desired business outcomes. With the changing business requirements and customer expectations, new modules need to be added on a regular basis for site optimization. Modules are the development coding that are designed to fulfill a specific task or functionality for a website. Site owners can grab a required module from the available built in modules from the OpenCart platform or can get it designed from a third party module development company. Nobody would deny the fact that modules are an important constituent for any eCommerce platform and they are part of every website. If you have made up your mind about utilizing the services of an OpenCart module, we would advise you to invest your time and money on Velocity which is a recognized name in the field of OpenCart module development services. Let us talk about the various factors that make Velocity as the unmatched option for module development services. Helps in delivering the business friendly OpenCart solutions to its clients- Velocity has a proven track record of providing brilliant OpenCart modules for various business solutions that can improve the performance of your website. We have a talent pool of skilled, innovative and problem solving OpenCart developers that can provide the desired business solution for your OpenCart site through various feature packed modules. A website can only build good business fortune if it is visible on various search engine result pages (SERPs). You can’t expect good business results if your site is not having the desired online visibility and presence on search engines like Google, Yahoo, Bing and such others. This is one such crucial issue where our experienced SEO professionals can help you out. We can employ various off- page, on- page, white hat SEO techniques on your OpenCart website for enhancing its SEO friendliness. Our module development expertise coupled with SEO performance is a boon for your website in this tough competitive business scenario. We at Velocity are very much aware about the copyright related issues in the field of development and do not bypass them in any manner. 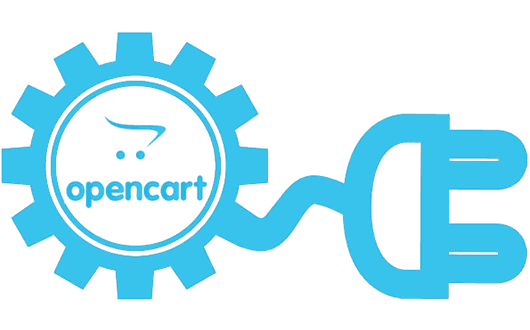 Our development team and programmers use only non- copied and genuine coding during the module development process for OpenCart site. The company is a trusted name in the field of OpenCart module development services and has delivered feature loaded modules for various OpenCart sites. With our development services, there are no chances of getting involved in a legal battle due to the use of programming code. There are possible chances that there could be some problem regarding the installation, configuration and upgradation of your OpenCart module. In all these scenarios, you need the assistance of a reputed support and maintenance services of a company like Velocity that can ensure you desired business results. The company believes in reaching out to its clients even after the delivery of the module development services. If you can’t find out a reputed and affordable OpenCart maintenance services, you can take the help of Velocity for a promising technical assistance. We know the importance of time in a competitive business environment, this is why Velocity does not believe in missing out the project delivery related deadlines. We would deliver you OpenCart module development services that are exactly tailor made for your business requirements without missing the project deadlines. The company is committed to brilliant development services within the scheduled time frame. It is the right time and opportunity for your OpenCart store to take the help of a reputed OpenCart module development company like Velocity to get required business results at the most competent price. So, make us a call on this number +91-120-4243310 or send us an email at inquiry@velsof.com to avail the amazing services.